Homemade furniture and accessories add a personalised touch to the home. 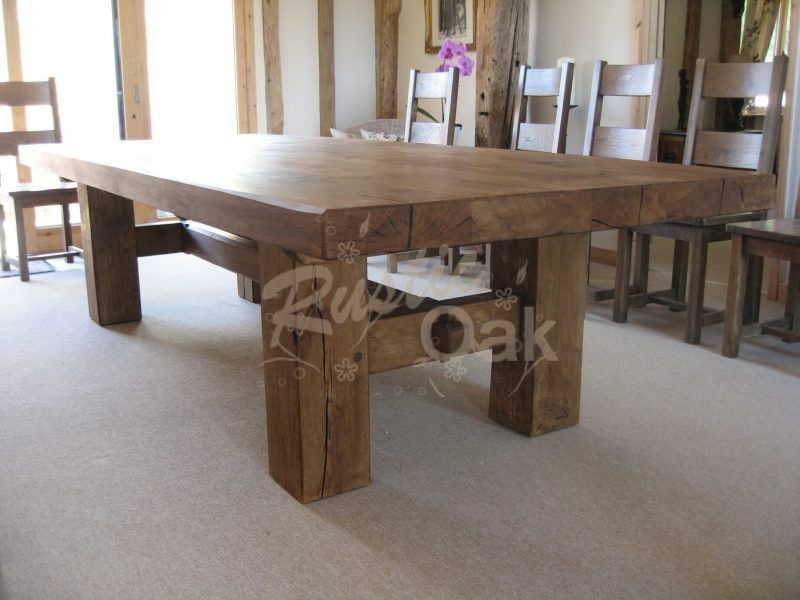 Learn how to upcycle oak beams to make your dining room stylish! The terms recycling, repurposing, reclaiming and upcycling are batted about in the DIY industry. These terms are used often and whilst they all have their own specific meaning, they ultimately come down to the same thing – the reusing of materials, and furniture to create something brand new. Much loved oak beam furniture can become unloved and dowdy if it has been sat around gathering dust for a while. It’s time to breathe new life into the furniture by giving it a little TLC. Shabby chic furniture can give a room a stunning, contemporary feel. Shabby chic is where furniture and furnishings are chosen for their old appearance and signs of wear and tear, or where new items are distressed to achieve the appearance of an old antique piece. There are several ways you can upcycle oak furniture, such as distressing, reupholstering and painting. Distressing oak furniture is a great way to add some character and style to the home. Distressing gives a weathered look to furniture to produce an appearance of age and wear. Use various tools to make natural marks and grooves in the wood and gently sand the surface. Paint the base colour and allow to dry. Sand the parts you would like to be weathered, and use a wire brush to put light scratches in the furniture. Lastly, add a top coat to seal it all off! Upholstering furniture, such as wooden chairs, can give it a new lease of life. Simply add a new padded seat cover on the chair and a shabby chic paint finish – and voila! There are many ways to upcycle furniture to help update a room without the added expenditure. Think of it as a little DIY project, something to tackle at the weekend that will feel rewarding once it’s complete!